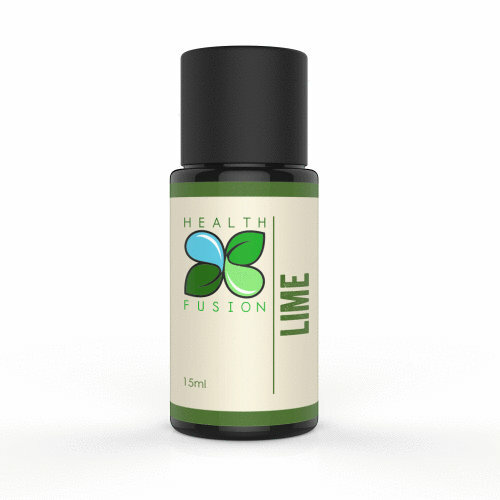 Lime – (GRAS) Health Fusion Lime (Citrus aurantifolia) 100% Pure Essential oil is Organically grown in the U.S.A. & is extracted from the peel using ONLY a cold pressed extraction method to yield a more beneficial & therapeutic oil than a stream distillation method. Lime has a characteristic, fruity and uplifting aroma that can aid with improving mood which can be important when dealing with depression or anxiety. Lime like other oils extracted from citrus plants is very astringent which can aid the liver, gall bladder or be used diluted with carrier oil on wrinkles or to tighten skin. Lime is also antiseptic & has been used for headaches, obesity, water retention, flu, fevers or to aid with digestion.